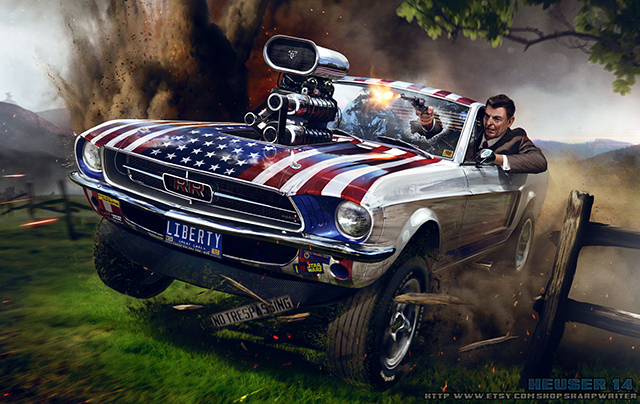 Ronald Reagan The Liberator is an awesome new illustration by Walnut Creek, California artist Jason Heuser (aka “SharpWriter“). It shows 40th President of the United States Ronald Reagan driving off-road and wreaking havoc in his patriotic muscle car. 11 x 17″ and 24 x 36″ prints are available to purchase online from Jason’s Etsy store. We’ve previously written about his presidential artwork.